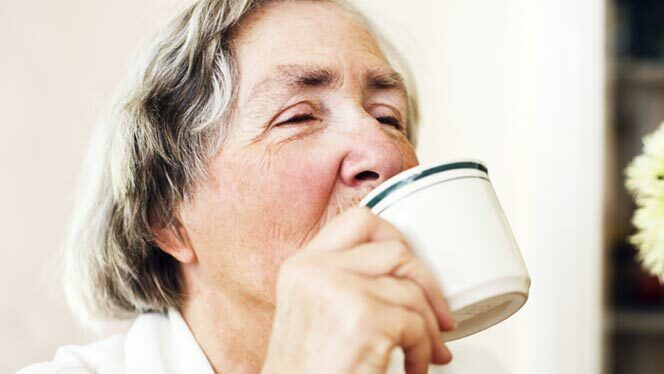 Swallowing difficulties can be associated with ageing, or might be the symptom of another health issue. Speech and language therapist Laura Dawson describes how problems can be identified and addressed. Swallowing food and drink is something we take for granted. It’s part of everyday life, and without the ability to swallow we would compromise our nutrition. A swallowing difficulty is not always a normal part of getting older and could be linked to a disease or disorder. If you notice your parent having a problem with swallowing, it’s wise to encourage them to contact their doctor and request an appointment with an ear, nose and throat (ENT) consultant and/or a speech and language therapist. Who is likely to have swallowing difficulties? a stroke – the muscles of the mouth can become weak or stop working which is problematic for swallowing. What are the effects of swallowing difficulties? If people experience difficulty swallowing or choking, they may lose weight and often develop a fear of, or aversion to, eating and drinking. The swallow is so precisely timed and aligned that if something doesn’t move as well or quickly as it should it can have detrimental effects. It becomes a pinball machine and there is no guarantee that things will always go the right way, which is a scary thought. Some people realise that if they change the consistency or type of food they eat, swallowing becomes easier, but this in itself can compromise quality of life and make eating and drinking an unpleasant experience. They may dread eating in front of others and stop being included in meal times, despite the fact that eating is a big part of socialising and integration in society. How often does going out for coffee or lunch feature in your parent’s social diary? If a swallowing problem is not identified it can lead to ongoing chest infections and hospital admissions. How do you identify a swallowing difficulty? A swallowing difficulty (dysphagia) can be indicated by complaints such as “Things getting stuck in my throat” or “Things going down the wrong way whenever I eat and drink”. These difficulties can be very dangerous and should be addressed immediately. The food pipe is next to the wind pipe, so when people say “Something went down the wrong hole” this is literally what happens. Thankfully we are designed to sense this, and cough to protect our airway. So coughing when eating and drinking is a sign of food and drink entering the lungs, and is known as aspiration. Surprisingly, though, some people do not cough in response to things going the wrong way so it may not always be obvious. abrupt change in positioning during/after swallowing. If things go the wrong way and enter the lungs, it could develop into pneumonia or a chest infection (aspiration pneumonia). It’s worth watching for a history of ongoing chest infections as that can be a sign of swallowing problems. Difficulties in swallowing can be cognitive and/or physical. progressive neurological disorders (later stages) such as Parkinson’s disease, motor neurone disease and Multiple sclerosis. There are two major parts or stages of swallowing: the oral stage and the pharyngeal stage. The next stage is the pharyngeal stage, where the swallow is triggered. The back of the tongue squeezes food and drink downwards into the throat. The voice box moves up and forward, and is protected by the epiglottis which shields the airway and the vocal folds, closing the airway shut. This movement of the voice box also opens the food pipe. This is why we all stop breathing when we swallow, and resume when the food has passed through into the food pipe and the voice box moves down again. the food pipe not opening enough and shutting off before food and drink can pass through. In this case the only open hole is the airway which it will inevitably pass into. A speech and language therapist’s role is to identify the possible cause of a swallowing difficulty by looking at how a patient’s swallow moves, and trialling them on different textures of food and drink to see which one they can swallow without aspirating. This is usually a “bedside assessment” but in some cases a therapist may need to investigate someone’s swallowing using an X-ray of swallowing (videofluoroscopy). The therapist will recommend a management plan following an assessment. They may suggest a thickening agent in drinks to slow liquids down, and food may need to be softer, or mashed. Sometimes the patient may need to move their head into a certain position to swallow. How do we contact a speech and language therapist? Most hospitals operate a speech and language therapy service and if swallowing problems are suspected the nursing staff or doctors will refer you for an assessment. 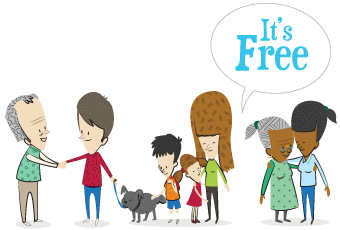 In the community, a referral to the community speech therapy team is made via your GP. If your loved one is in a care home, a referral can be made via the nursing staff. Laura Dawson offers assessment and therapy for adults and children from three clinic locations in Brentwood, Southend and Upminster (Essex), as well as a home visit service across Essex and Kent. Visit www.sltconsultancy.co.uk for more details.